If a person “Likes” your Facebook Page, it means they have an interest in your business and products. But they're not exclusively interested in your products, so you shouldn't be shouting "Buy! Buy! Buy!' all the time. Yet, you do want to get your products seen, loved and sold. So how can businesses like yours skyrocket your sales from Facebook while still increasing engagement with fun and valuable posts? I wanted to know this too. I wanted to know how the top brands on Facebook successfully post about their products, and to find out how companies with millions of Fans generate engaging, resonating product updates that are liked, shared and commented on by tons of consumers worldwide. So I took a look at the world’s most popular Facebook brand Pages, analyzed them, and came up with a whole lot of brilliant product post methods. Here are 10 proven product posts from the world’s most liked Facebook Pages - posts you shouldn't be afraid to copy! This is the #1 Facebook post type because it's the best, hands down. Sales are likely the reason a Facebook user Liked your Page in the first place. They want to get access to your deals and discounts as soon as possible. 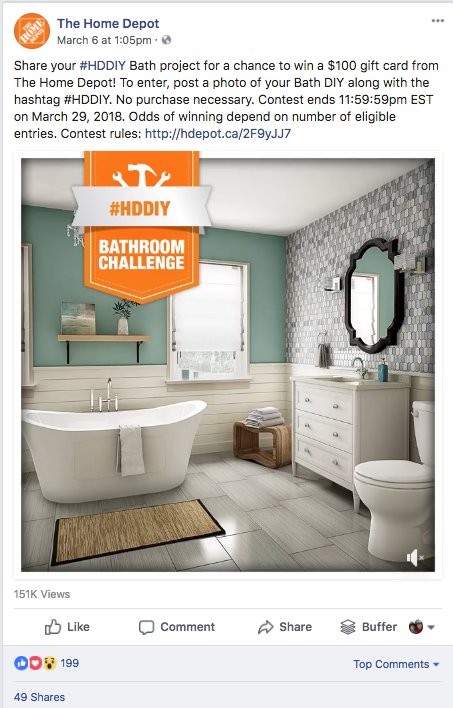 Facebook contests are one of the best ways to turn Fans into customers. Like a sale, they're all about providing value to your Fans - addressing the reason they Liked you to begin with. I recommend to every social media marketer I talk to that they run Facebook contests every season (at least). 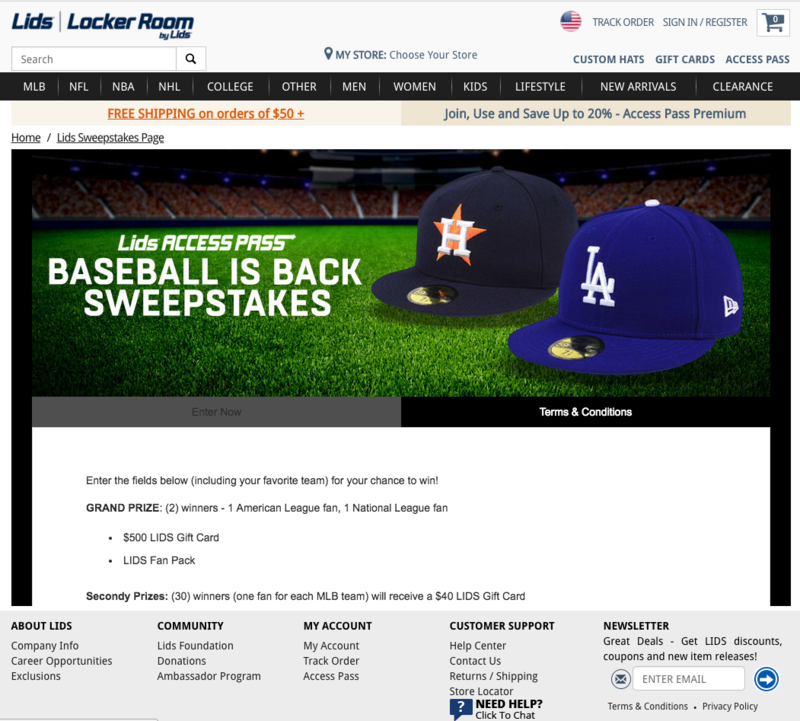 Not only are they an awesome way to get brand awareness (especially with bonus entry contests incentivizing sharing), they're an awesome way to get people to buy. Create a Facebook contest (and corresponding Facebook posts) and then send a discount code to every one of your entrants via email. Boom: hundreds of new possible customers taking advantage of a sale. Check out Wishpond's marketing tools. Our contest templates look awesome on any device. Tapping into what your target market is already thinking about, and then framing the value of your products in terms of those thoughts, is a winning strategy on Facebook. Around late spring, create product posts with "getting ready for summer?" Around the holiday season, create product posts with "It's the season for..."
Around back to school season, create product posts with "Back-to-School is almost here. Is your family ready?" Around Mother's Day, Father's Day, Thanksgiving, Easter, Valentine's Day, The Superbowl, National Chocolate/Puppy/Macaroni & Cheese Day... create product posts which relate to a theme. 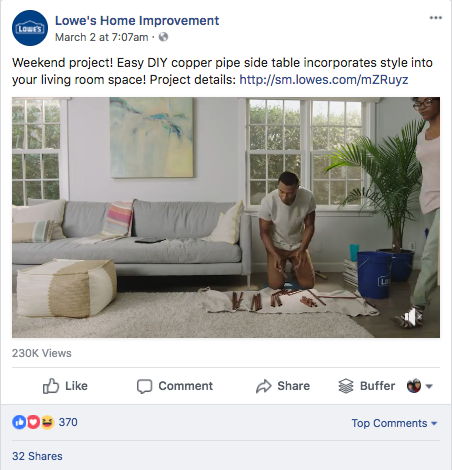 There's no end to themes, and, if you do a bit of research on the top brands on Facebook, you'll notice that themed posts are actually the majority of what they post. My recommendation is to combine a themed post (holiday, current event, etc) with a secondary value proposition. For instance, "TGIF! Come in for buy-one-get-one-free signature cocktails until 6 tonight, and again from 9-12!" Showing what can be done with your products is a powerful motivator for purchasing them. Have you ever been walking around the labyrinth of Ikea, and noticed how they create entire bedrooms (sometimes with clothes in the dressers)? This shows prospective customers what can be done with the things they sell. If they sold them individually their perceived value would be less. Within the fashion industry: "this scarf finishes off a stunning ensemble!" Within the home improvement industry: "See how you can combine our bunk beds and children's dressers into a Star Wars fort in this week's DIY video! Within the SaaS industry: "We're super excited to announce the release of our email marketing tool! When combined with contests and popups, the Wishpond platform becomes even more complete!" My recommendation is to create these posts which entice your Fans and friends of Fans to click through to your website. If you try to get all the information (even if you use a video) into a Facebook Post, you're going to overwhelm people. Instead, get theme excited about the prospect of making or building something, and drive them to your website to complete the action. Don't just create Facebook posts which tell people to buy your products, create posts which tell people why. And, if anything sets your products apart from your competitors, be sure to highlight it frequently. 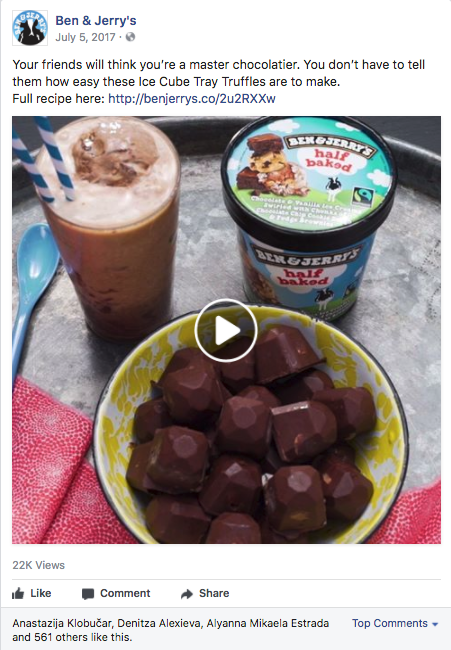 Here's an example of a promotional post from Ben & Jerry's - speaking to a specific (and new) selling point. Whenever you brand does something innovative, changes something, or releases something new, be sure to talk about it on Facebook. Your Facebook Fans Like your Page because they're interested in your business, otherwise why would they have agreed to receive information from you? So give them the news they want. And if that news happens to involve a new selling point for your product? Then all the better! Sometimes the most profitable Facebook posts aren't those which aggressively promote your products, but those posts which show your prospective customers that you exist. Facebook contests are great for doing this (as your existing Fans share your contest with non-Fans), but hashtags work the same way - introducing your content to people who aren't searching for you but rather searching for an idea, theme, or subject. Often, creating a promotional Facebook post is actually about introducing your business to people who don't already know you. Remember, Facebook has 2 billion users. If you focus only on driving your existing Fans to buy from you, you're missing out on a huge opportunity for brand awareness. You might be asking, "how does doing charity promote our products?" According to a 2015 Nielsen survey, 66% of online consumers said they would pay more for products or services from companies that are socially and environmentally responsible. And if your target market is millennials, that number jumps to 73%. If your business sponsors a softball team, runs a can drive during the Holiday season, or does a charity run, talk about it on Facebook. It won't just show your Fans that you're a company with morals, it will increase sales. 66% of online consumers would pay more for products from socially responsible businesses. Showcase your philanthropy and get sales! This is a strategy you may have seen before on other social media tips articles. And your immediate response is always and inevitably, "But I don't know any influencers." 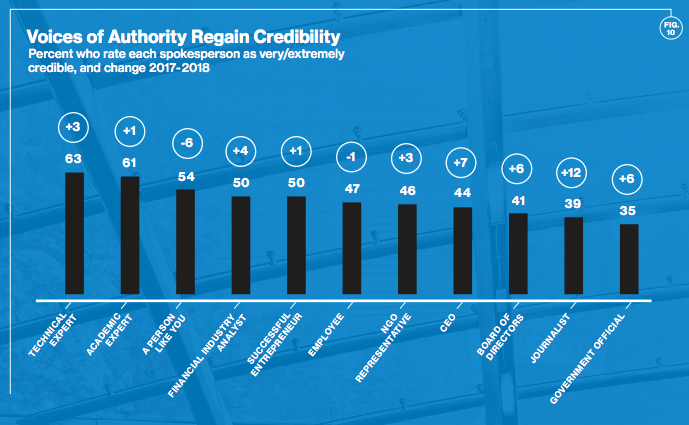 When Edelman released its annual Trust Barometer report in 2018, the people most trusted were technical experts, academic experts and people like the prospective customer. Therefore featuring those people, and their review of your product, service or brand, is likely to result in more trust from your Fans and possible customers. This is something often missed by those social media marketers who recommend influencer marketing: unless the person promoting you is relevant to your target market, they're not worth the energy. As a software marketer, I would rather have Rand Fishkin talk about my platform than Justin Bieber. Sure, we'd explode with brand awareness. But it's not brand awareness that results in dollars and cents. The long and short of it is that you don't need JJ Watt drinking gatorade to tell you that electrolytes are important when playing sports, but it doesn't hurt either. Facebook’s photo album feature lets you upload up to 1,000 photos per album. But you can use photo albums to showcase your products more comprehensively. For example, if you’ve just received a new line of a certain product for the season - show cool photos of them in a "lookbook"-style album. Check out this Facebook post example from Converse, who used this formula to create a lookbook of their latest shoes. You may be new to marketing or have just started a business, so let me be the first to tell you (or remind you) that photo quality could not be any more important. Photo quality is, before anything else, what differentiates real, professional businesses from amateurs. You could be selling homemade phone cases out of your garage, but if you get the right lighting, right camera and the right style, you have a chance to succeed. If not, you'll never make it out of Craigslist. The other difference between an amateur ecommerce and one destined to succeed is a model. Models provide that level of context that the item itself is lacking. They also give prospective customers that "if I bought that could look like..." feeling. Looks a little better on the model, against a sand dune, doesn't it? Hopefully this article has given you a better understanding of how you can use Facebook posts to promote your products and drive sales. My recommendation is to keep your posts about 40% promotional and 60% educational, fun or brand personality-building. You can play around with that ratio as you get responses from your Fans. If you've tried any of these post types or have another one to recommend to other social media marketers, reach out in the comment section below!